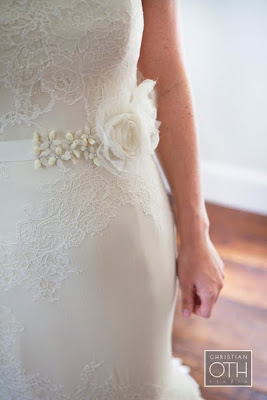 I had an absolute blast dress shopping with one of my brides this weekend. With each new dress, another was added to my list of favorites. 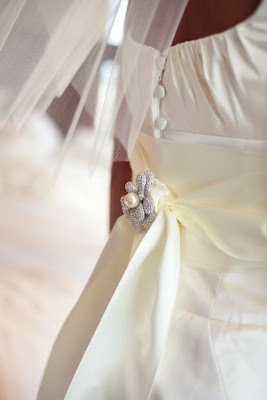 While the dresses were beautiful by themselves, the different sashes and belts are what made the biggest difference. 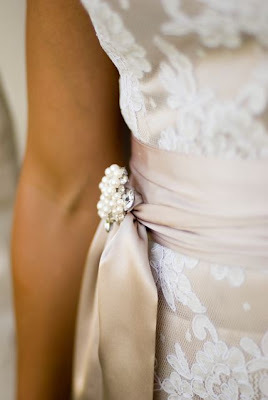 These accessories can be as plain or detailed as you wish (crystals, pearls, satin, bows, flowers.....you name it). Why not wear an elegant band of crystals down the aisle and then switch to a colored satin sash for the dance floor during the reception??? 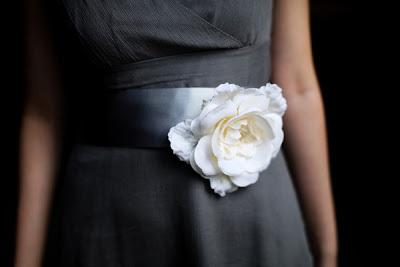 Maybe you can even borrow one of your grandmother's diamond broaches to pin on the sash for a little more fun. Okay..so enough with the sashes and belts....check out the jewelry these ladies are wearing. The necklace makes the outfit! 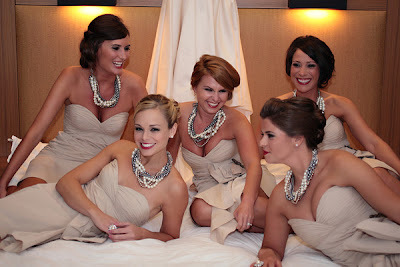 Consider giving your bridesmaids a funky, chunky necklace to wear with their dresses instead of the same plain Jane pearls they wore at their high school graduation! 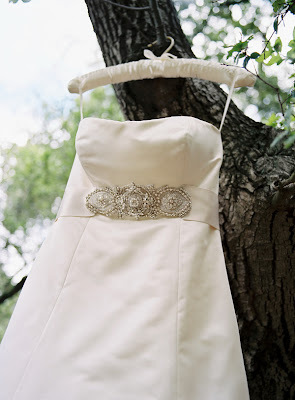 If you decided to go this route, pick a simple (inexpensive dress) and make it all about the jewelry instead! You will be voted bride of year by your maids...I can assure you that they would would rather pay $200 for a necklace and $100 for a dress than $300 for a dress they will never wear again! Celebrating 18 Years of A Super Sweet Life! So thankful to be busy!